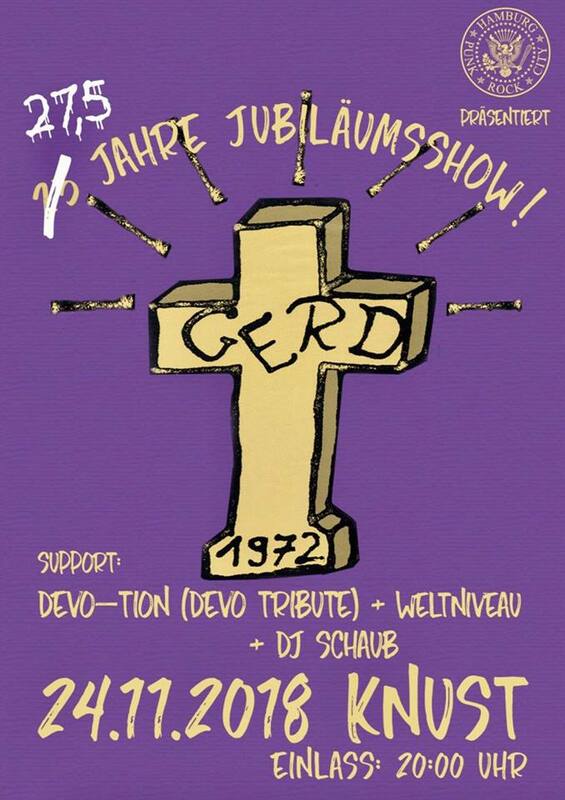 Format KurzmitteilungVeröffentlicht am 2018/03/26 2018/03/26 Kategorien ShowsSchlagwörter Cafe Treibeis, GerdSchreibe einen Kommentar zu … 39 songs for 5€: How Gerd turn Thin Lizzy upside-down! 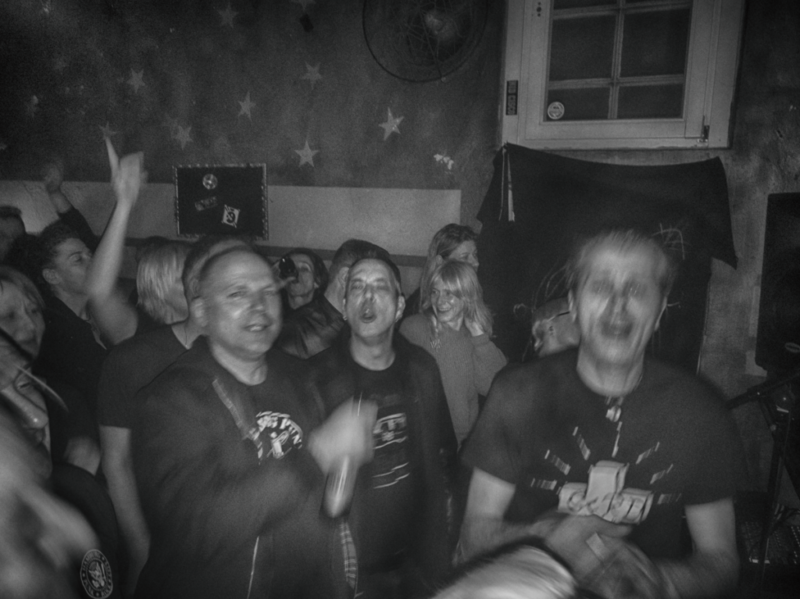 … GERD, the unstoppable party machine, and the tale of the best agers! 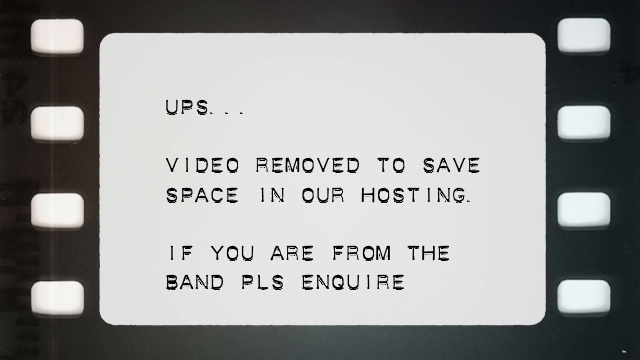 It is quite rare that a rather unknown and local band, though it has been around for ages (but with limited visibility on the international rock circuit), is able to draw the likes of The Undertones, Jam, Small Faces and others as support. But Gerd, Hamburgs loveliest party machine, is able to call these favours because the mu-sick industry played their dirty tricks on them. Rewind to 1972 and Gerd is alone and broke, his girlfriend Sonja left him behind and all his mates are in prison. But instead of giving in to alcohol he puts all his eggs into one basket and pens the Über-Hit „Born in Hamburg Horn“ followed by more Glamrock hits, only to have them stolen by less gifted (and greedy) rock musicians – from A like Adriano Celentano to Z like Zeppelin, Led. Name one of the big names of the 70s and they have at least one Gerd song in their rooster. 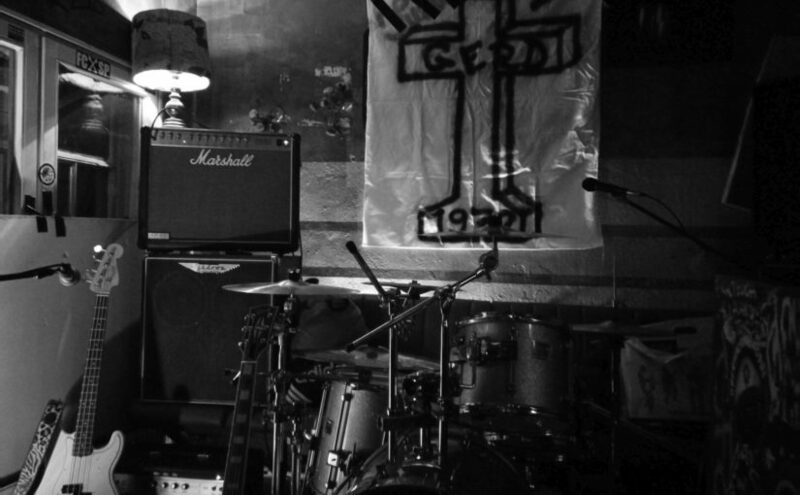 Whilst these suckers went on to enjoy sold-out stadium tours Gerd only got the occasional gigs in dodgy pubs in the lowlands of northern Germany. At least when it came to payment for these Gerd used all their street-smartness and came up with a clever approach: Instead of asking for a share of the door they asked for a share of the drinks turnover (knowing their fan-base was quite addicted to booze). 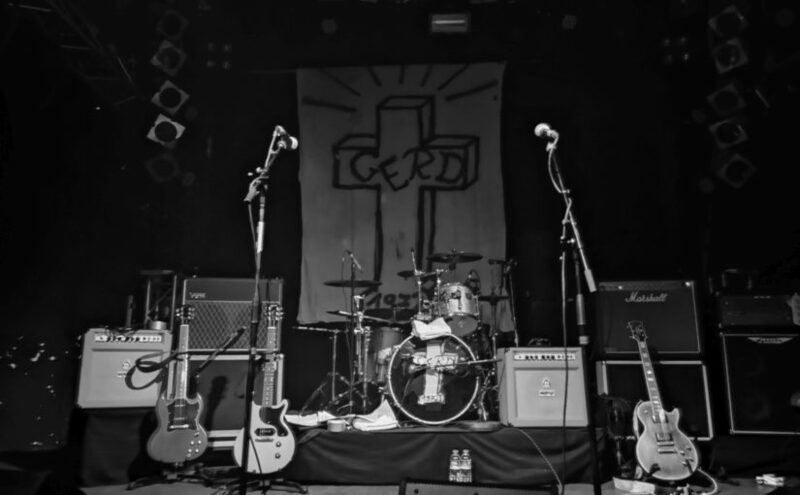 Still, little fame was achieved and Gerd have been struggling ever since (even to the point that all of them have additional bands to play in in order to pay the bills). Kick off for this eagerly awaited party night was with Perfect Cousins, who actually are 3/4 of Hamburgs old and beloved punk band Napalm: Arne sings, Lui on Bass and Reeder takes the drums. This added with two more capable members gets you the ultimate 1:20 party hits of The Undertones in real. And, as many folks over years noted, the rather nasal vocals by Arne are a perfect fit (and some even wanted him to join The Undertones upon Fergal calling it a day). A great set, this time well rehearsed and injecting the right fun into the crowd who immediately put on their dancing shoes. Next on Jam Today, reformed from the ashes of Jam Today – starting the set with some Jam numbers as the traditional 3 piece they soon invited additional members onto the stage: The guy on the keyboard is not really a new add (was trialled some times before) but the 2nd guitar (which comes with great vocals) is brand new. And adds to their ability to try new styles. Where the Perfect Cousins had an immediate effect on the audience, Jam Today dared to play it on the risky side and branched out into Small Faces, Style Council and classic mod rock like The Chords. Audience reception was a bit luke-warm though they got their fair share of applause and support. 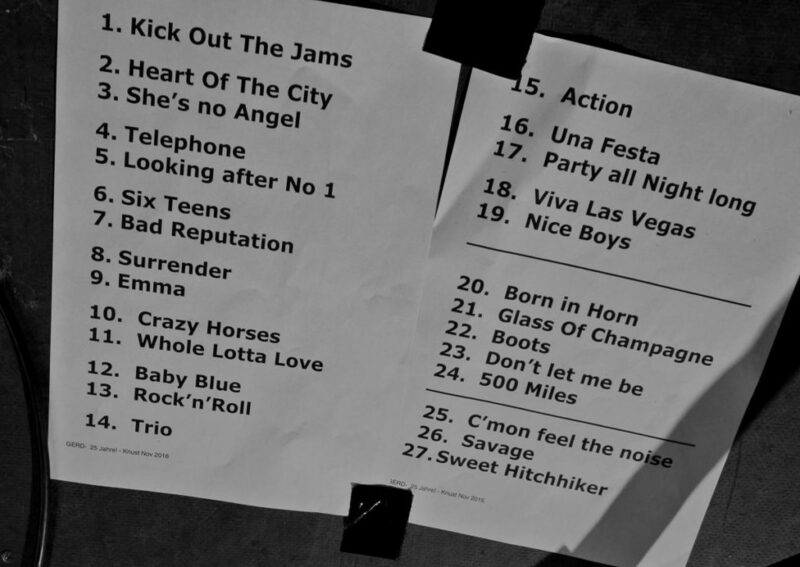 I’ll guess with some further tightening of the set it will be a good one (though different and maybe no longer suited for the 50+ oldpunks just wanting to sing along to his or her hold hits). And finally that gave the stage to Gerd, who where a wee bit nervous about this show as it was – at least for them – a headlining gig on a large stage. And they where nervous about turnout, as they had their share of gigs with less than 50 guests. So with a bright smile they came on stage and faced the 300+ people in the audience who gave them a large cheer. 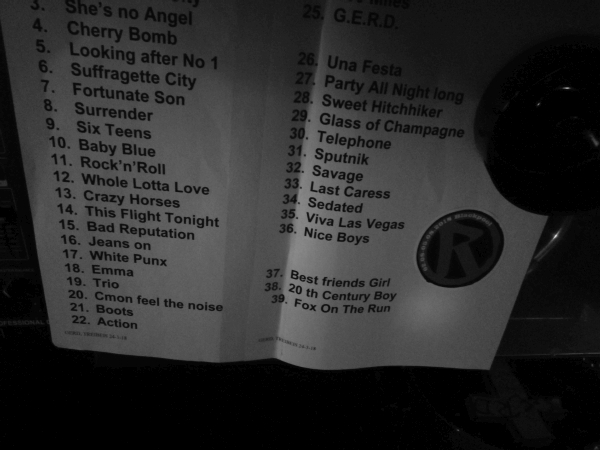 A massive 27 song set-list was the outset for the proceedings, almost a full account of all the hits they have written over the last 44 years and that got recording and airplay by another band. 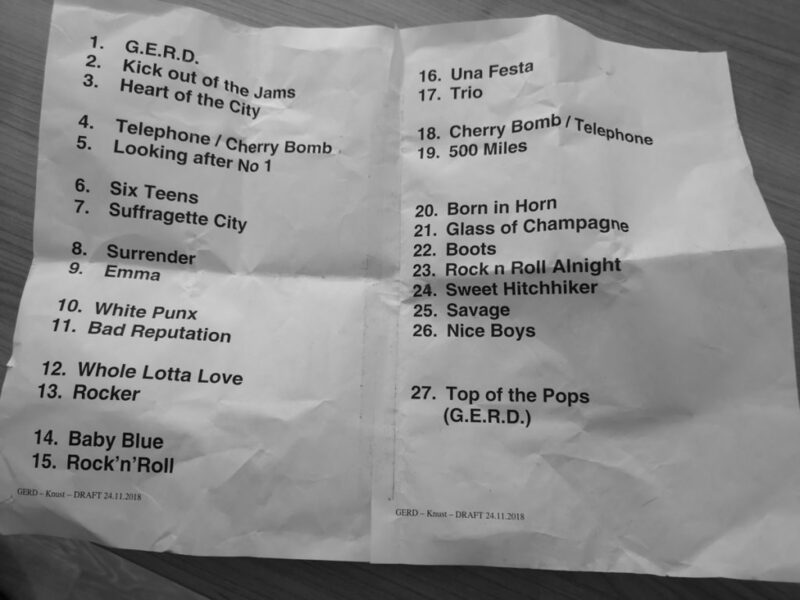 By now and deep into the encore (and already late into the night) Gerd had the audience where they wanted it: Fully engaged, singing, dancing and well intoxicated. Just perfect! 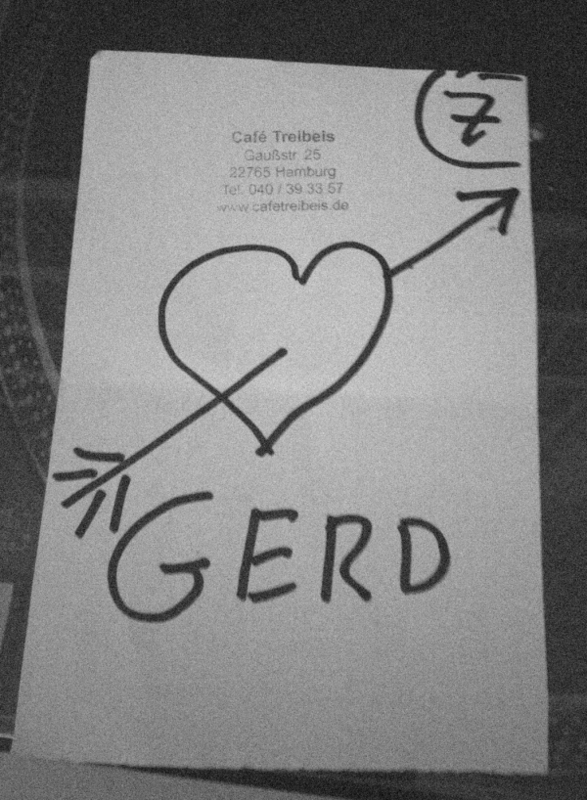 Gerd shows always had the annotation of a party – and this one indeed was one of the raunchiest parties of the year. 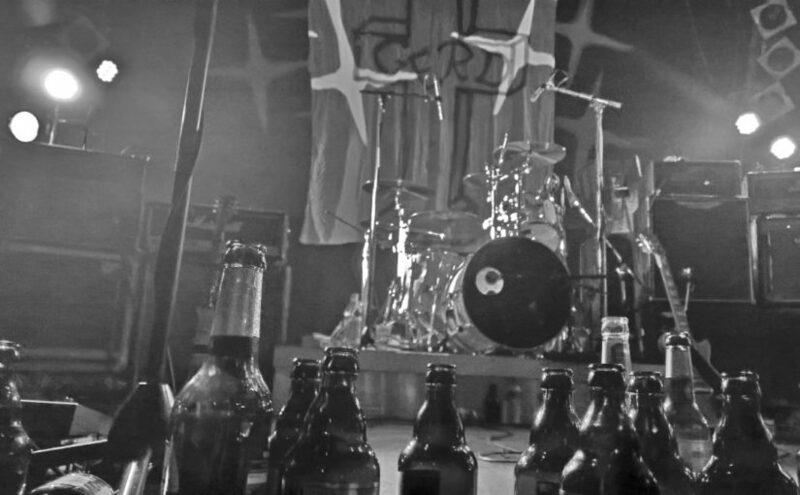 On top of that Gerd being bold and brave moved it to the Knust and made full use of the bigger stage, the bigger audience and the bigger bar space (and booze storage). The quest though is what deal did they strike with the Knust – door money or booze money? I think short over 300 people attended and about 2.500 beers plus additional booze was sold. According to the landlord of the Knust a very good number and almost the highest average of beer per person attending they have on record! 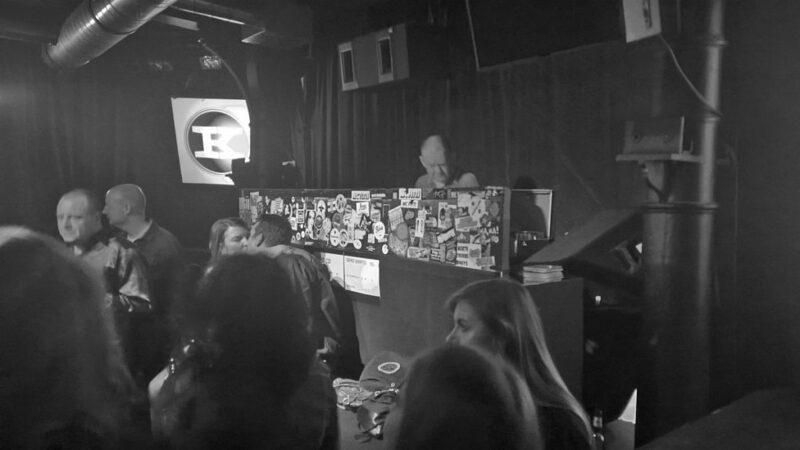 And that was followed by a great party in the bar with DJ Chrischan providing sing-a-long and dance-a-long classic hits for the best ager audience. For me just a perfect thing – so many friends (though with one mate who battled yet again in hospital still not able to attend), so much good music and such a great party. I was home „early“ in the wee of the morning and still full of energy! Gerd offered to be back in 25 years, i’ll take them up on the promise! Next on are two more parties for the 50+ best ager crowd at the Knust: HH-Soundtrack 2016 Edition i am able to do (adjusted my work travel to fit), the Razors Burn down the Baum one i need to let go as i am out for a nice leave away from Hamburg over Christmas and New Year. I guess both will now take up the massive challenge that Gerd have thrown! 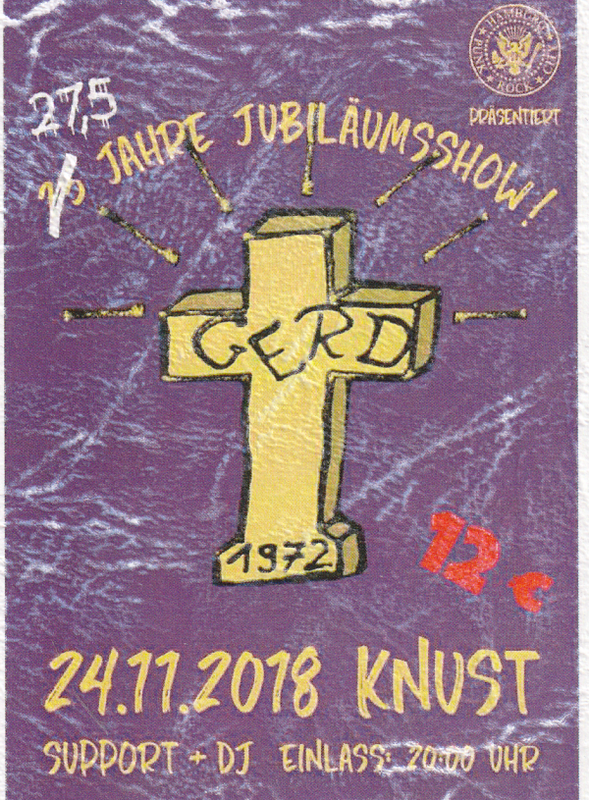 Format KurzmitteilungVeröffentlicht am 2016/11/28 2019/01/28 Kategorien ShowsSchlagwörter Gerd, Jam Today, Knust Hamburg, Perfect Cousins2 Kommentare zu … GERD, the unstoppable party machine, and the tale of the best agers!